Christmas Ornament – Microphone – Brighten up your Christmas tree with this stunning Microphone Christmas ornament. 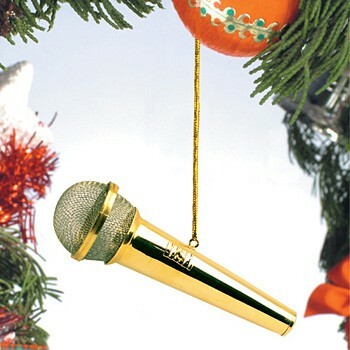 The detailed, gold colored mic ornament makes a great holiday gift idea for the singer or vocalist in your life! Decorate that Christmas tree in musical style. Made from metal. Approx. 3″ L.
Music Ornaments for Singers and Vocalists!